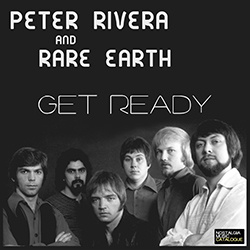 Peter Rivera and Rare Earth became superstars and a part of the Motown legacy. Rivera became the undisputed leader of Rare Earth, the only white band to score hits with the Berry Gordy, Jr. Motown Record label … “Get Ready,” “I’m Losing You,” “Born To Wander,” “Hey Big Brother,” and “I Just Want To Celebrate” were all Top 40 hits. 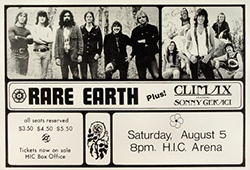 The albums … Get Ready (1969), and the live double-album set Rare Earth In Concert (1971) won double platinum. Ecology (1970) and One World (1971) achieved single platinum, Willie Remembers (1972) and Ma (composed and produced by Norman Whitfield -1973) went gold. 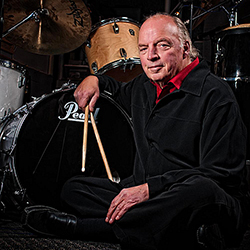 Peter Rivera and drummers of his sort are an enigma, and part of a very elite group. Rivera plays drums and sings lead vocals at the same time. 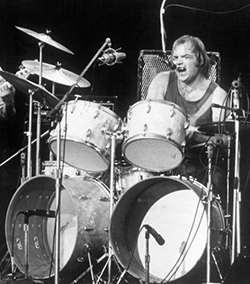 But Rivera is an exceptional drummer and is also an extraordinary and soulful lead singer as well as a songwriter.